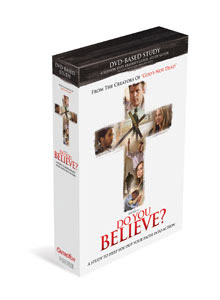 Based on the major motion picture, this four-week study will challenge participants to consider this: if you were ever accused of being a Christian, would there be enough evidence to convict you? Readers will be inspired to put their faith into action and powerfully impact the lives of those around them. 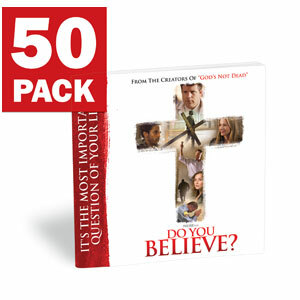 Includes Scripture readings and discussion questions; for use with the Do You Believe? DVD-based Study Kit in small groups or individually. Sermon, "Do You Believe? DO NOTHING" (included in the Do You Believe? Church Kit). Official Trailer from Do You Believe? Enter your email above to download the FREE Church Kit and to receive email updates and special offers exclusively from Outreach, Inc. Invite your friends and neighbors to answer the most important question of their lives! 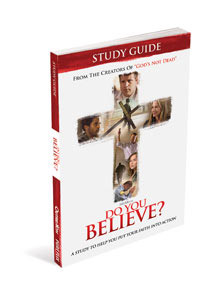 Based on the major motion picture, this four-week study will challenge participants to examine what they know to be true, and then put their faith into action by powerfully impacting lives around them. 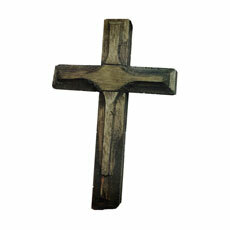 As seen in the movie, this cross will remind you to put your faith in action. Each cross is unique in color and style with a handmade look. This booklet will challenge readers to answer the most important question of their lives, "Do You Believe?" By explaining God's divine love and purpose, these booklets are a great evangelism tool.